Kindle Prepper Deals for Sunday! *The Death Of Money: Economic Collapse and How to Survive In Global Economic Crisis (dollar collapse, preppers guide, prepper supplies, survival books, money) (SHTF Survival Book 5) by Edward Rickards. Price: Free. Genre: Inflation, Foreign Exchange, Business & Money. Rated: 4.8 stars on 27 Reviews. 50 pages. ASIN: B01DQF66C6. Posted on June 12, 2016 Author KibetCategories Free Kindle Prepper Books, outdoor survival, preparedness, Prepper, SHTF, SurvivalLeave a comment on Kindle Prepper Deals for Sunday! 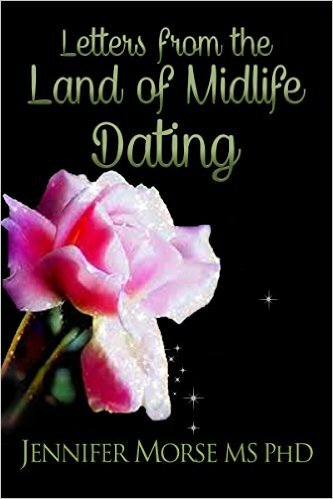 *Letters From The Land of Midlife Dating by Jennifer Morse. Price: Free. Genre: How to Date in Mid-Life, Sponsor, Relationships. Rated: 5 stars on 1 Reviews. 104 pages. ASIN: B012PUNCL6. *Survival Guide Box Set (5 in 1): SHTF Stockpile for Beginners, Bug-Out Bag, Living Off the Grid Essentials and Surviving Economic Collapse (Survival Guide & SHTF Stockpile) by Michael Hansen, Calvin Hale, Neil Ross, Frank Noyer. Price: Free. Genre: Safety & First Aid, Disaster Relief, Survival & Emergency Preparedness. Rated: 4.6 stars on 46 Reviews. 153 pages. ASIN: B018ZH3E98. Posted on June 5, 2016 Author KibetCategories Free Kindle Prepper Books, outdoor survival, preparedness, SurvivalLeave a comment on Kindle Prepper Deals for Sunday! *Long Term Survival Guide: Psychology Of Long Term Survival And Preppers Step By Step Guide For Major Disasters And Emergencies When You Are “On Your Own” by Daniel Wilkinson. Price: Free. Genre: Safety & First Aid, Survival & Emergency Preparedness, Education & Reference, Health, Fitness & Dieting, Reference. Rated: 4.8 stars on 15 Reviews. 59 pages. ASIN: B01FQOHOE4. Posted on May 30, 2016 Author KibetCategories Free Kindle Prepper Books, outdoor survival, preparedness, Prepper, SurvivalLeave a comment on Kindle Prepper Deals for Monday!